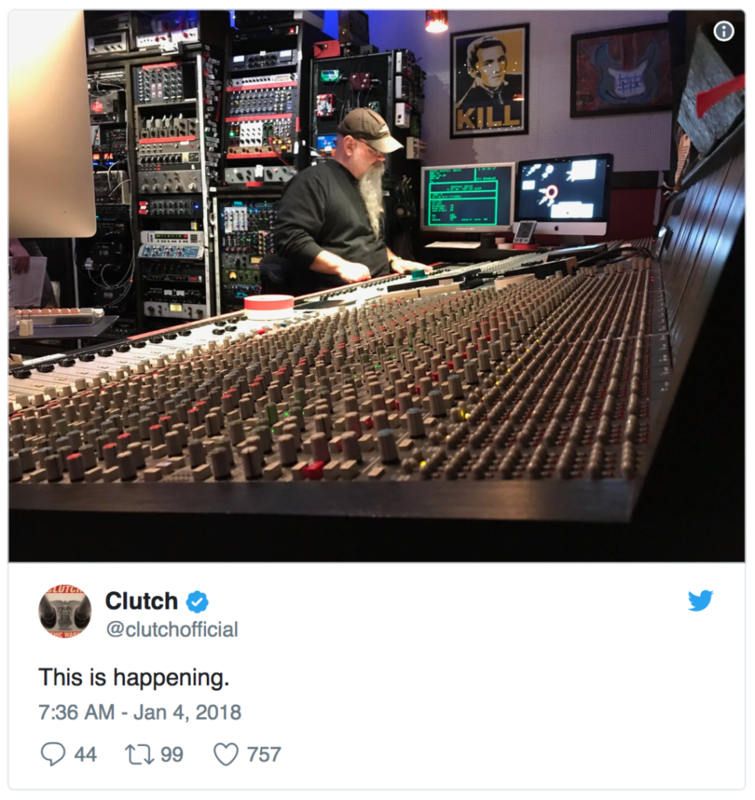 ICYMI Clutch is back in a recording studio in Nashville to work on a new album! Clutch’s awesome last album “Psychic Warfare” debuted at No. 11 on The Billboard 200 chart and sold 26,000 copies. So far no talk of a release date for this new album.